Sherlock Holmes To Play "A Game Of Shadows"
Welcome back to the week that has clearly been designated as Reveal The Official Title Of Big Movies Week. 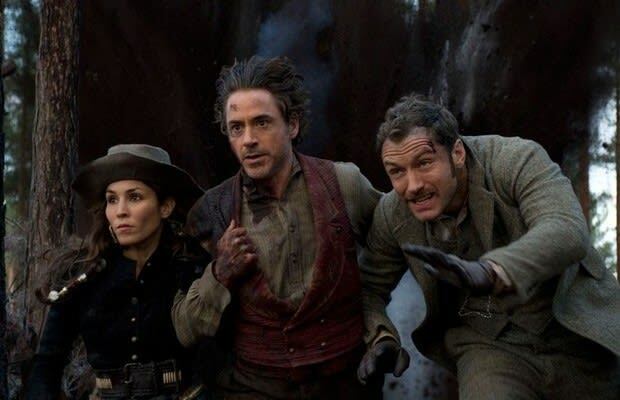 Because hot on the heels of the Spider-Man reboot getting a proper name (The Amazing Spider-Man, just in case you missed it) comes word that Guy Ritchie&apos;s Sherlock Holmes sequel is now called Sherlock Holmes: A Game Of Shadows. IGN received confirmation of the title (or rather subtitle, since Warner Bros. isn&apos;t ditching the Sherlock Holmes bit from the front). While it sounds a little bit like a George R.R. Martin fan fiction tale, it also seems somewhat fitting for an adventure that will see Holmes (Robert Downey Jr.) and Watson (Jude Law) going up against arch-nemesis Professor Moriarty (Mad Men&apos;s Jared Harris). Moriarty is a master when it comes to cunning stratagems, and, naturally, the heroes will have to untangle some murky mysteries. They’ll get help in that endeavour from Noomi Rapace’s (The Girl With The Dragon Tattoo) adventurous female lead, and more likely smug hindrance from Sherlock’s brother, Mycroft Holmes (Stephen Fry). Ritchie&apos;s sequel is scheduled for a December 16 release.